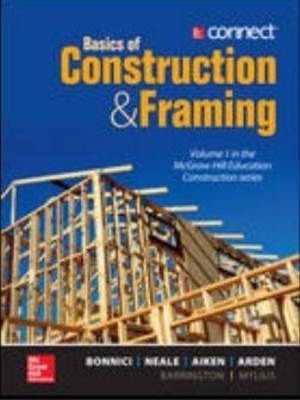 Basics of Construction and Framing Blended Learning Package includes the print book plus access to Connect, McGraw-Hill Educations unique digital learning and assessment platform. Basics of Construction & Framing utilises content from the highly-regarded Practical Australian Carpentry by Barrington, Mylius and Arden. Reference to Australian building code practices and regulations, this volume covers the basic skills and knowledge required at all levels of domestic construction, from foundations and site preparation to the external cladding and roofing. The Basics of Construction & Framing provides complete coverage across Certificate II in Construction and Certificate III in Carpentry in the CPC08 Construction, Plumbing and Services training package.